An engrossing, romantic novel, packed full of good food ideas. What more could you ask for a Valentine's Day read? 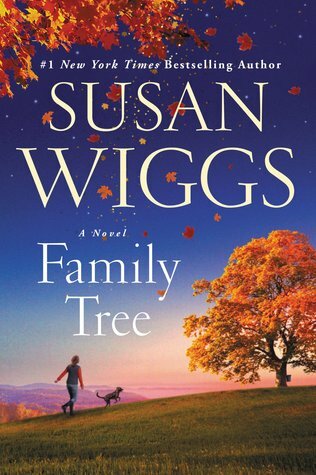 Family Tree, by Susan Wiggs is all of that and more. It's about Annie, an independent minded cook, with vision and ambition. However the career push takes her away from her home, her roots and from the love of her life. I loved this book. "Sometimes the greatest dream starts with the smallest element. A single cell, joining with another. And then dividing. And just like that, the world changes. Annie Harlow knows how lucky she is. The producer of a popular television cooking show, she loves her handsome husband and the beautiful Los Angeles home they share. And now, she’s pregnant with their first child. But in an instant, her life is shattered. And when Annie awakes from a yearlong coma, she discovers that time isn’t the only thing she’s lost.Grieving and wounded, Annie retreats to her old family home in Switchback, Vermont, a maple farm generations old. There, surrounded by her free-spirited brother, their divorced mother, and four young nieces and nephews, Annie slowly emerges into a world she left behind years ago: the town where she grew up, the people she knew before, the high-school boyfriend turned judge....Family Tree is the story of one woman’s triumph over betrayal, and how she eventually comes to terms with her past." Happy Valentine's Day! At the back of Lisa Q. Fetterman's Sous-Vide at Home book, I noticed she was making her own bitters and liqueurs and it occurred to me that my cacao nibs would make a lovely home-crafted Creme de Cacao. Some research pulled up a number of articles on the subject: Supercall has a good recipe, for which you don't need a sous-vide appliance. 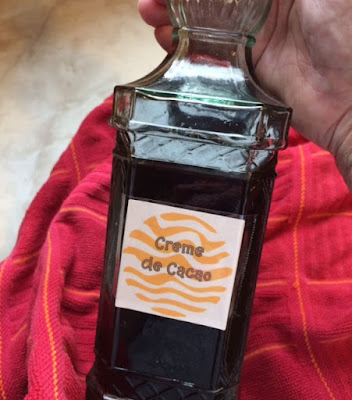 Then there's Making cacao nib infused liquor, and a great lesson on video for using sous vide to infuse cocktails.